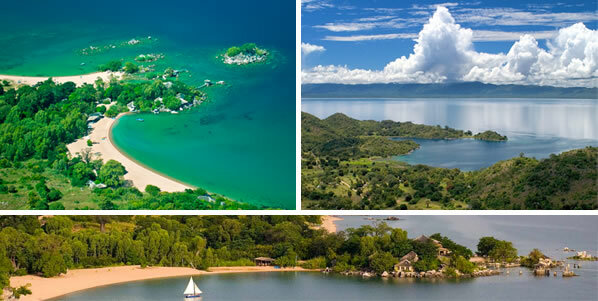 Lake Malawi is also known as the Lake of Stars – the water twinkles in the afternoon light – or the Calendar Lake, as it is some 365 miles long by 52 miles at its widest. Kaya Maya is the only comfortable lodge on Likoma Island. The eleven rooms are all different and well spaced, so you are not living cheek by jowl with other people. Activities include diving, snorkelling to see more than 1,000 species of cichlids, water-skiing, kite surfing, knee boarding, paddle boarding, sailing, fishing and kayaking. Walk or cycle round the island on a mountain bike – or whizz round it on a quad bike. Visit the cathedral built by the missionaries in 1902 and chat to the extremely friendly locals. Take a motor boat around the island with a picnic lunch and cool-box. Have a spa treatment whilst listening to the waves lapping the rocks around you. Stay in family cottages or romantic, individual island rooms. Enjoy creative food and a top wine list from South Africa. See otters, monitor lizards and a rich variety of bird-life. Relax in peace of mind: there are no locks on the rooms, because there has never been a robbery at the lodge. Many of the staff have worked here for 15 years. Visit the Katundu workshops where stylish beaded linen, lamps and textiles are made, empowering local communities. Combine with a sailing trip up the lake on a luxury Catamaran or a safari further south in Malawi or in neighbouring Zambia. Above all relax, swim and laze by this truly beautiful and clear inland sea: the perfect beach holiday. Includes 1 free night and reduced internal flights. Further reductions for children. Motorized activities, drinks extra. Subject to booking conditions and availability.